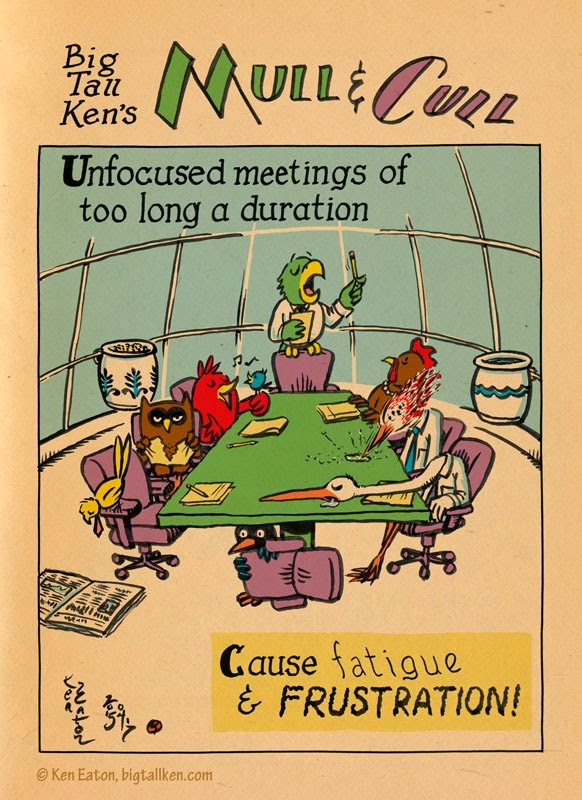 Mull & Cull #26 - Meetings of too long a duration cause fatigue and frustration! 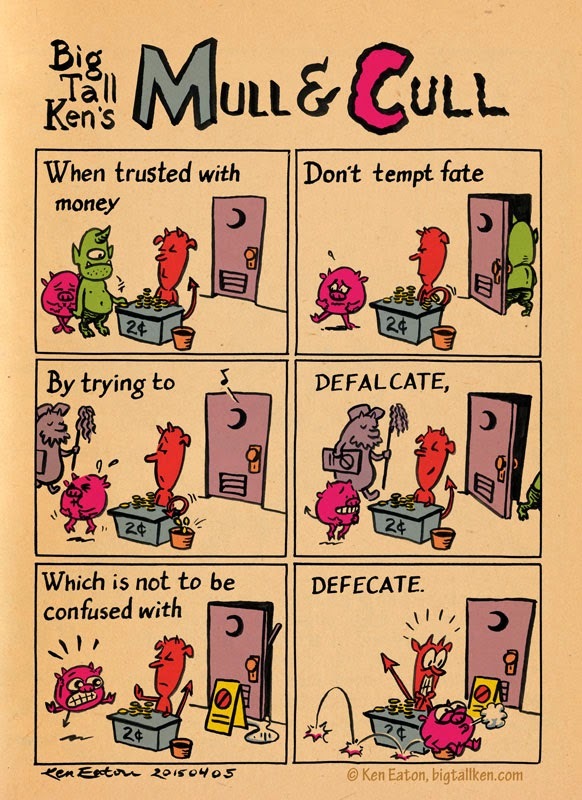 Mull & Cull #25 - When trusted with money don't tempt fate by tring to defalcate, which is not to be confused with def_cate. 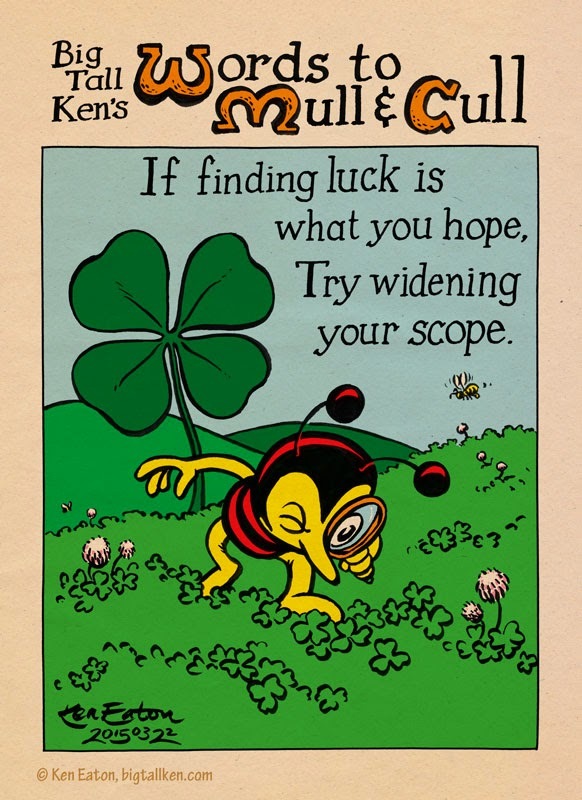 Mull & Cull #23 - What it is is just because. 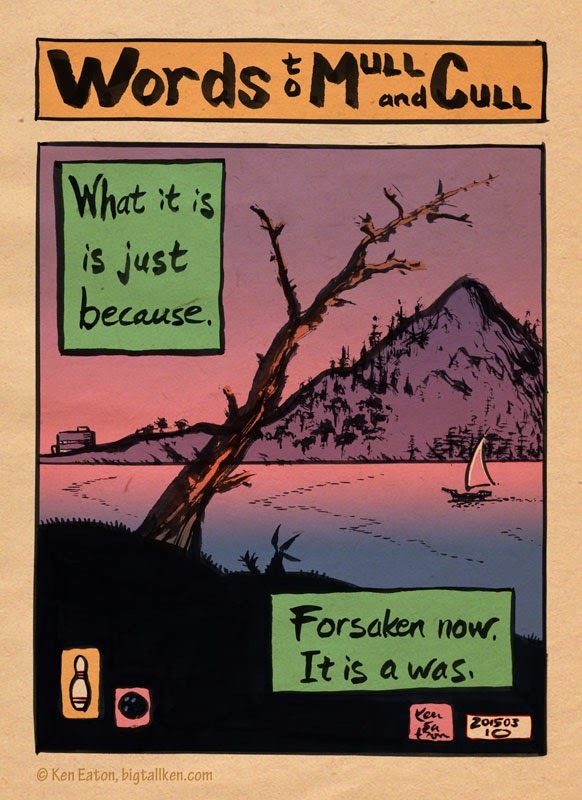 Forsaken now. It is a was. 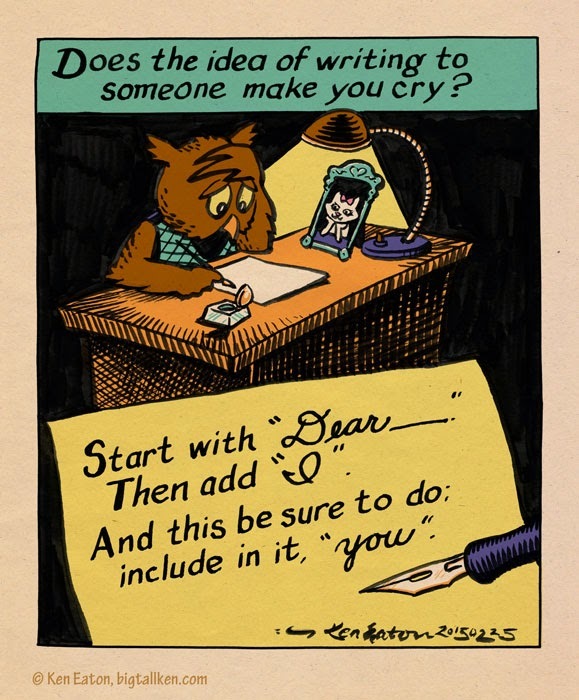 Mull & Cull #22 - Does the idea of writing to someone make you cry? 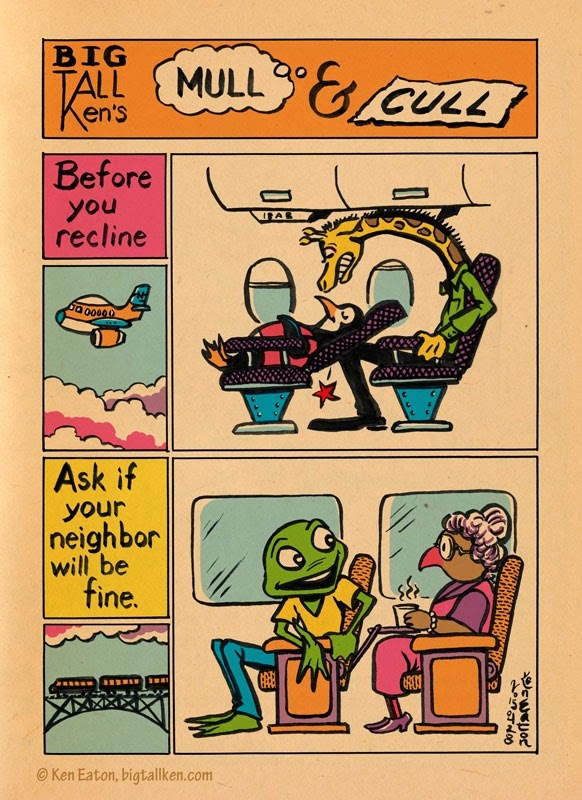 This technique does work. 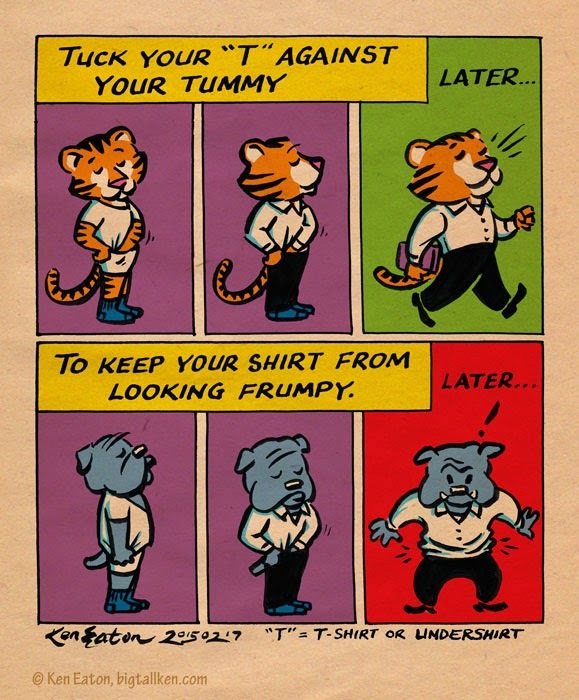 For more details on how to keep your shirt tucked properly check out this article from the "Art of Manliness" blog that inspired this cartoon.